It’s important to know that a company’s value is not equal to the sum of the inputs. In other words, if I provide time, ideas and equipment worth $1,000, this doesn’t mean the company is worth $1,000. In most cases the value of a startup company is closer to zero. In all cases we hope it is worth much more than the inputs. Implying a valuation means the underlying shares in a company also have value. This has meaningful tax implications and potential legal implications. It’s important, therefore, to understand that keeping track of contributions is simply a method used by the Slicing Pie model for calculating fair ownership or profit interests. 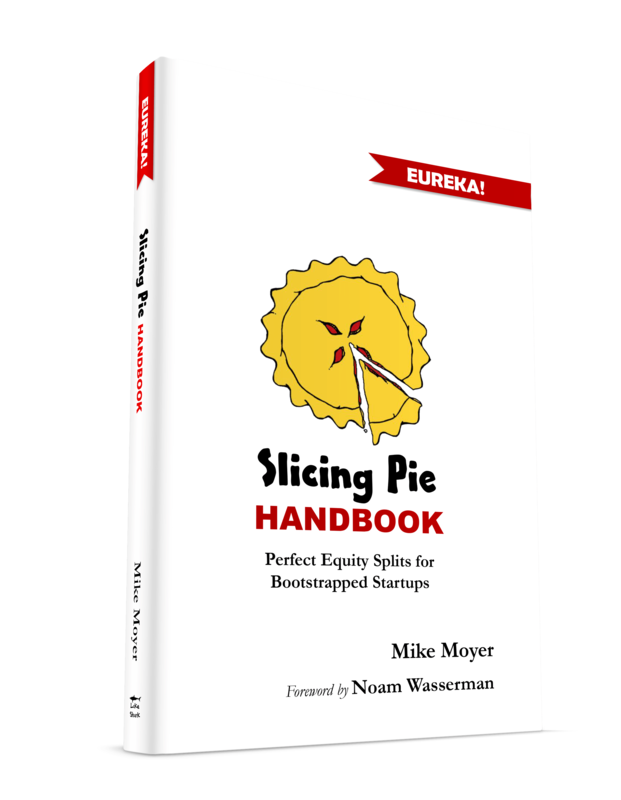 In the book Slicing Pie I refer to the base value as a theoretical value. This highlights the fact that the value is not real, it’s theoretical. To further avoid confusion, I have started using “slices” instead of theoretical value. Slices are determined by multiplying the fair market value of the contribution by the cash (4) or non-cash (2) multiplier.